Matthew Crampton describes the pain of losing a fish. My head reeled from the mental cocktail of playing a good fish – a measure of nerves, a glug of glee and a dash of machismo, all laced with two fingers of imminent doom. 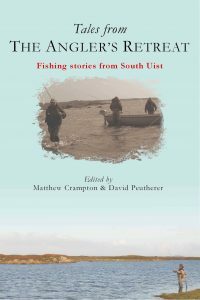 The great fishing writer Bruce Sandison shares some stories about Uist. Historical tales from Frederick Rea, a Victorian schoolmaster on the island. Robert Hannah describes another potential pain associated with fly fishing.